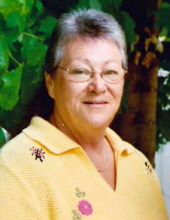 Cheryl A. Meyer, age 69, of Ionia, IA passed away on Friday, March 22, 2019 at Floyd County Memorial Hospital in Charles City, IA with her family by her side. A Celebration of Life Service will be held from 1:00 pm to 3:00 pm on Saturday, May 4, 2019 at the Charles City Senior Center, 900 Hulin St. Charles City, IA. Interment will be in Beckwith Cemetery in rural Colwell. To send flowers or a remembrance gift to the family of Cheryl A. Meyer, please visit our Tribute Store. Guaranteed delivery before Cheryl's service begins. "Email Address" would like to share the life celebration of Cheryl A. Meyer. Click on the "link" to go to share a favorite memory or leave a condolence message for the family.